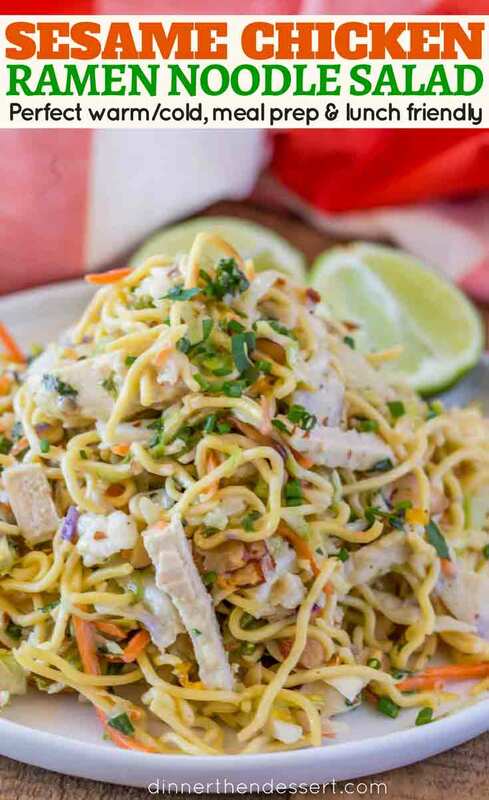 Ramen Noodle Salad with chicken, green onions, carrots, toasted almonds, in a quick, easy vinaigrette is a healthy, easy, lunch option served cold or warm. 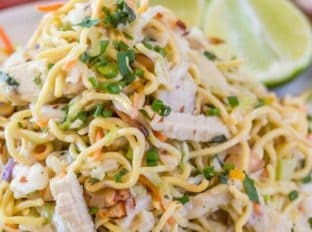 For many years, I avoided ramen noodles and even made recipes to avoid using them like in this ramen makeover from an old Martha Stewart recipe. I couldn’t get the flavor packet full of MSG flavors out of my head anytime I ate ramen noodles. Since then, we ALWAYS have ramen noodles in our pantry. We never use the spice packets, but we love the noodles. 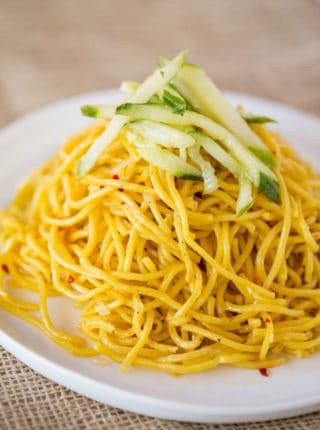 In fact, we also use the microwavable “Yakisoba” chow mein noodles for this Panda Express Chow Mein which is really popular on this site and on Google! Cook the ramen noodles a minute shy of the directions on the package and immediately toss with the sesame vinaigrette. Add in the chicken, onions, carrots and toasted almond. Then add in the last bit of the rice vinegar and sesame oil dressing. Tossing the noodles in the dressing while warm and slightly undercooked allows it to soak up more of the dressing. 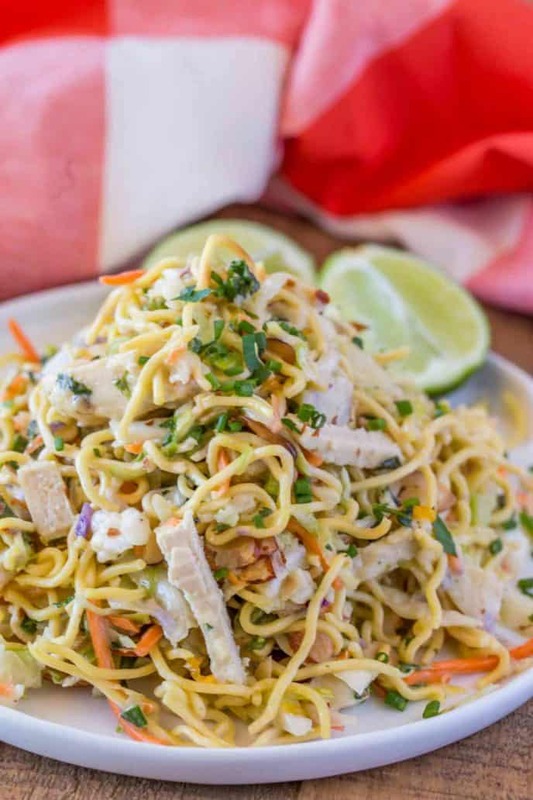 Win-win, flavorful noodles! 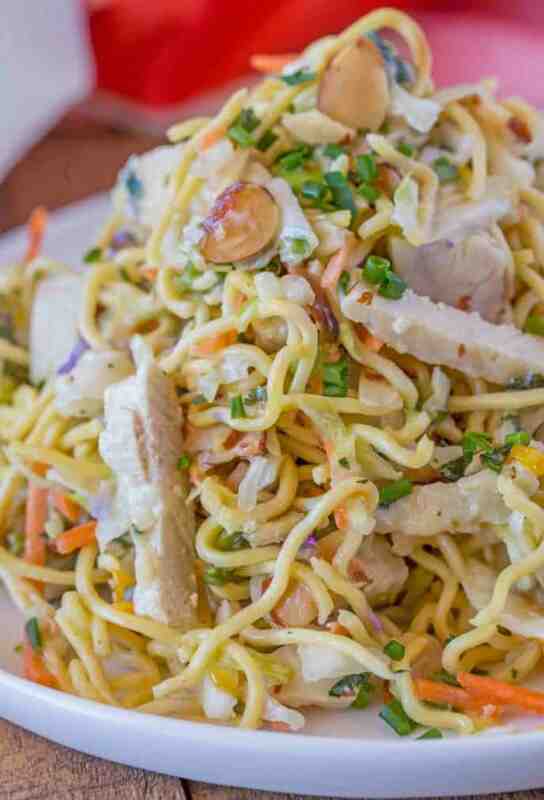 Since this ramen salad is best served cold or at room temperature, it is perfect for lunches. You can serve with vegetable potstickers (we are suckers for this one from Trader Joe’s), steamed vegetables like broccoli and carrots and even a small side of peanut satay sauce or spicy soy dipping sauce. If you’d like to serve the ramen noodle salad warm, add freshly cooked steak or shrimp to the dish. 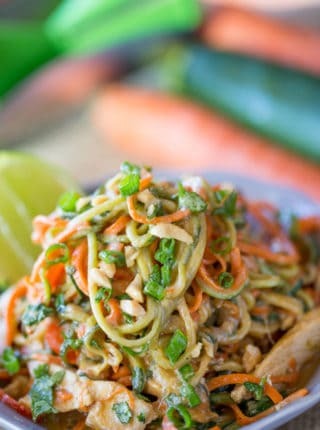 Healthy: Add in 2 spiralized zucchinis to the ramen. Add less canola oil to the dressing. Spicy: Add 1 teaspoon Sriracha to the dressing. 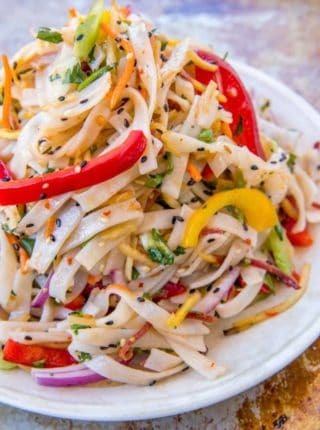 Vegetarian: Add in stir-fried bok choy, snow peas and even Chinese eggplant to the noodle salad. Crunchy: Instead of cooking the ramen, add it in crunchy and toss with twice the dressing and a bag of shredded coleslaw. Discard the spice packets and cook the ramen a minute shy of the instructions. While the ramen is cooking mix the canola oil, sesame oil, rice vinegar, salt, honey in a large bowl and whisk. Reserve 1/4 cup of the dressing and toss the noodles with the rest of the dressing while hot. Add in the remaining ingredients including the reserved dressing and toss well. This is a great recipe! 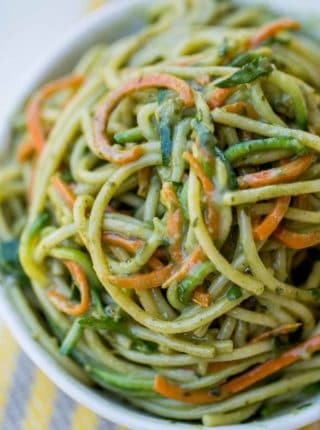 To make it a little healthier, I used two ramen packs, two spiralized zucchini noodles, and used a little more than a 1/4 c of oil. I see the recipe calls to discard the seasoning packet. We used the seasoning packet in the dressing , it was delicious! First, I want to say I was surprised to find out that this recipe actually used ramen noodles found on those ramen packets, Sabrina. It got me even more curious so I decided to give it a try. I did cook the noodles for around 2 minutes because I want mine more al dente; and I lessened the oil according to taste since that is just my personal preference. Thankfully, it did not alter the taste at all; and my ramen noodle salad tasted delish! I’m glad I peaked your curiosity to try! Forgot to give this every star possible. So glad you enjoyed it!! Thank you for the awesome rating! OMG……yum, yum, yum!! I’ve been looking for a good Asian salad dressing for a long time. This dressing is AMAZING and DELICIOUS. I cut the canola oil and 1/2 because of calories. Most dressings with oil in them have a tendency to be too oily. This is perfect using 1/4 cup of canola oil instead of 1/2 cup. The flavors blend so well together. The next time I make it I will double the re Ile and add some freshly grated ginger root to see if that will make it a ginger sesame dressing. I’m so glad I signed up for your email recipes. I can’t wait to try your chicken lo mein recipe next. 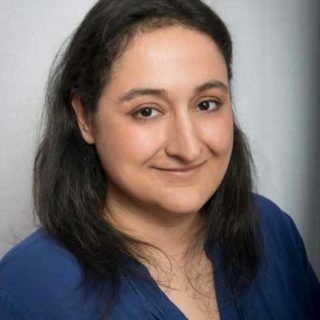 Thank you Sabrina for sharing these recipes. Looking forward for more to come. Thanks for taking the time to come back and let me know how much you enjoyed it! Loving all these flavors combined! This sounds like a great lunch! Oh boy this looks terrific. Loving the combo of flavors and ingredients! That looks awesome, I’d love a generous serving of it right now! 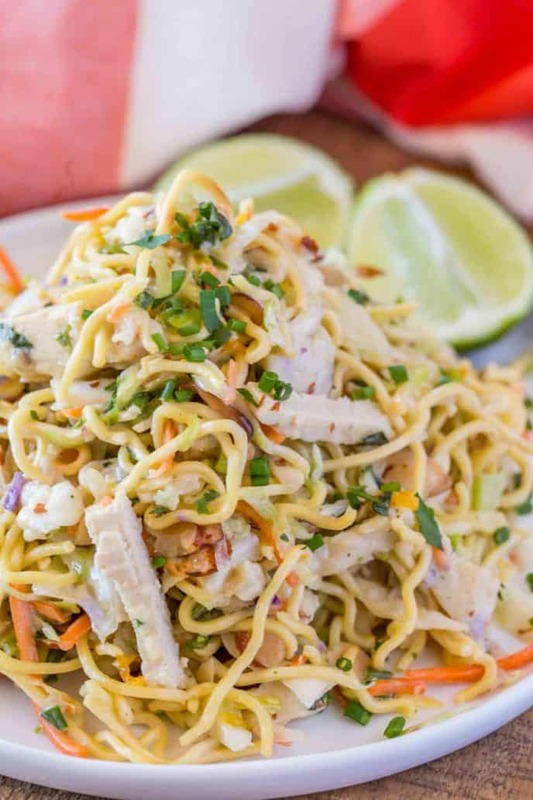 I LOVE a good ramen salad, and the chicken here is great! This will be an excellent addition to any potluck! That dressing looks delish!